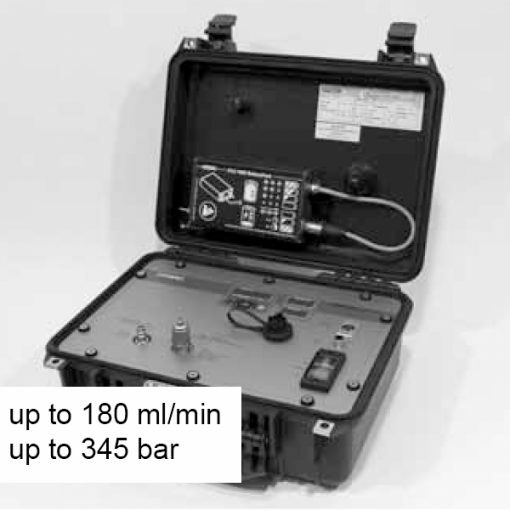 The FCU 1000 is a portable service unit. It serves for short-term measurement of particle contamination, the humidity level in % saturation and temperature of the fluid in hydraulic systems. On the other hand, in the internal FCU 1310 memory, the storage of all measured data (ISO, SAE/NAS, % saturation and temperature in °C or °F) is in files (measured value file) and folders (test points). Therefore, the data’s storage has a time stamp. So then, we can carry out the evaluation conveniently on a PC in MS Excel or in our FluidMonitoring Software (FluMoS), Version 1.30 or higher. What’s more, its applications are hydraulic systems, service for mobile hydraulics and maintenance.